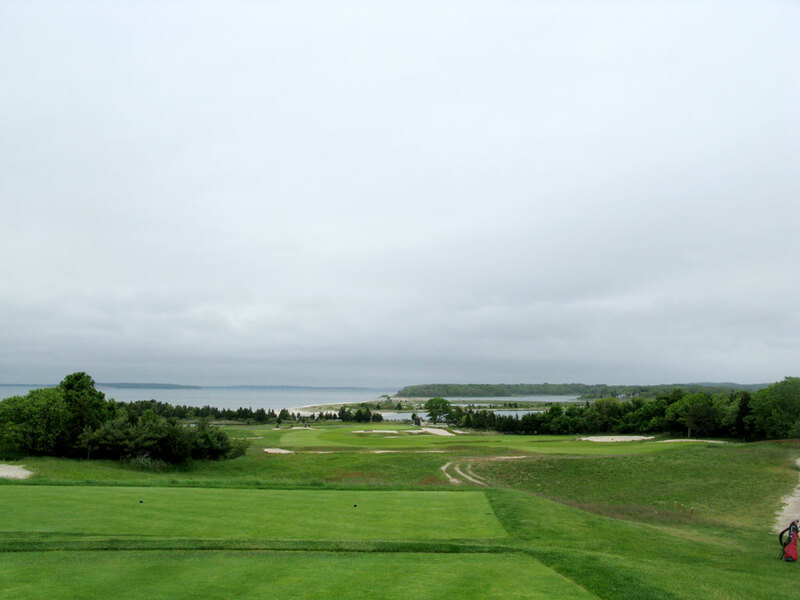 Accolades: Ranked 1st in New York on Golf Course Gurus' Best in State list. What to Expect: "National" is one of the funnest and most charming courses ever built. It features everything a golfer could hope for, namely, variety, wonderful course architecture, history, and a stunning location. The goal of NGLA was to design the finest course outside of the British Isles and to incorporate the best hole designs from some of the finest clubs from the other side of the pond. 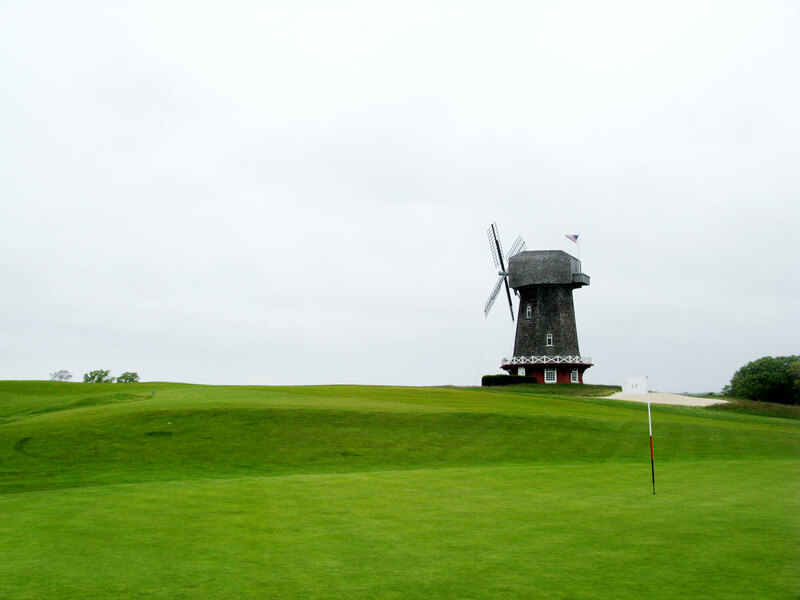 Courses that have names for every hole usually are just being redundant, but at National Golf Links of America it pay homeage to the great holes in Europe. Holes such as Sahara, Alps, Redan, Short, St. Andrews, Long, Eden, Cape, Punchbowl, and Home all are renditions of other holes and in some cases are better than the original. A day at National is a special day with some of the most memorable holes found on American soil. 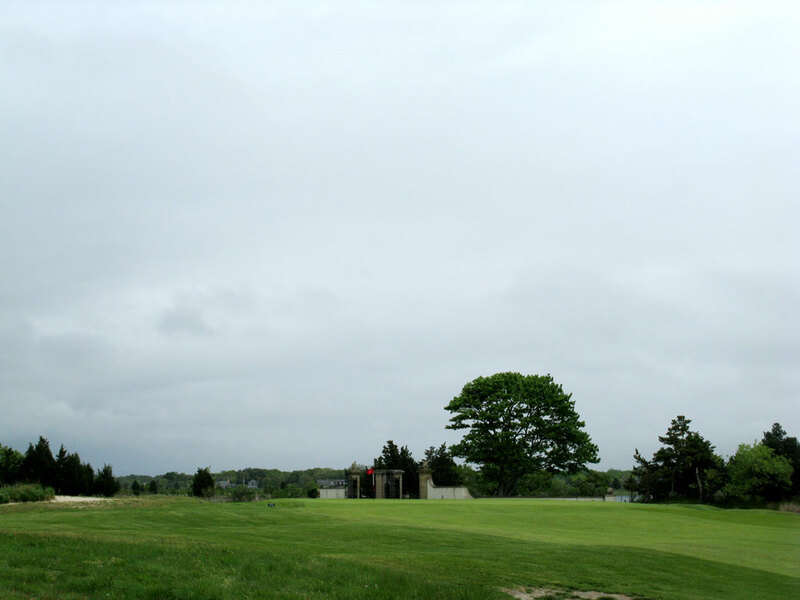 Signature Hole: 17th Hole – 375 Yard Par 4 – (Peconic) - With the famous windmill behind you and the Peconic Bay in front of you, the 17th tee delivers the best view on the golf course and further comes through with a fantastic hole. Large crossing bunkers rest in the middle of the fairway that must be carried from the right side of the hole but can be avoided by staying down the left side and flirting with the waste area that parallels the fairway. Best Par 3: 4th Hole – 195 Yards – (Redan) - The famous Redan par three design is offered as the 4th hole of the day and is one of the most difficult Redans I've played to date. 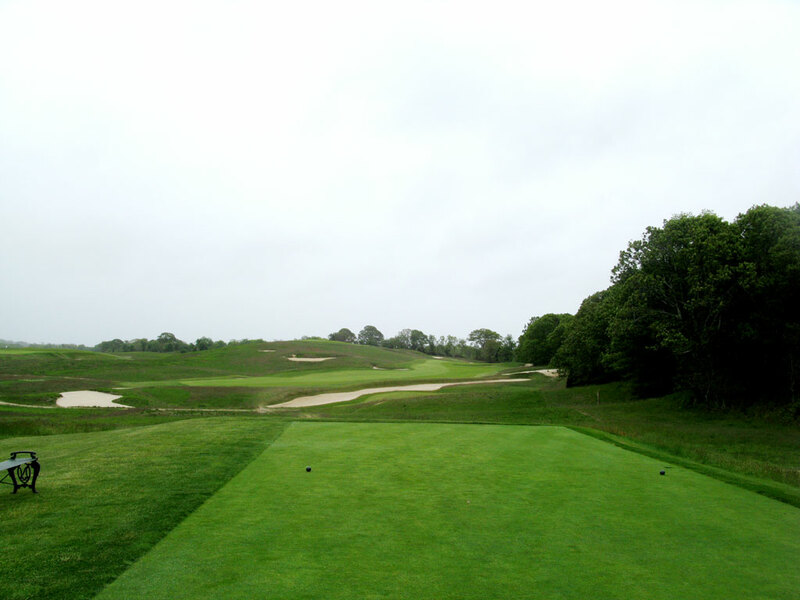 With the wind often driving into the golfer's face, the hole plays more difficult than most redans while the slanting green drops five feet from upper right down to lower left. The deep bunkers on the inside corner make for a very difficult up and down while going long is a bogey at best. This hole design is one of the finest Redans anywhere. 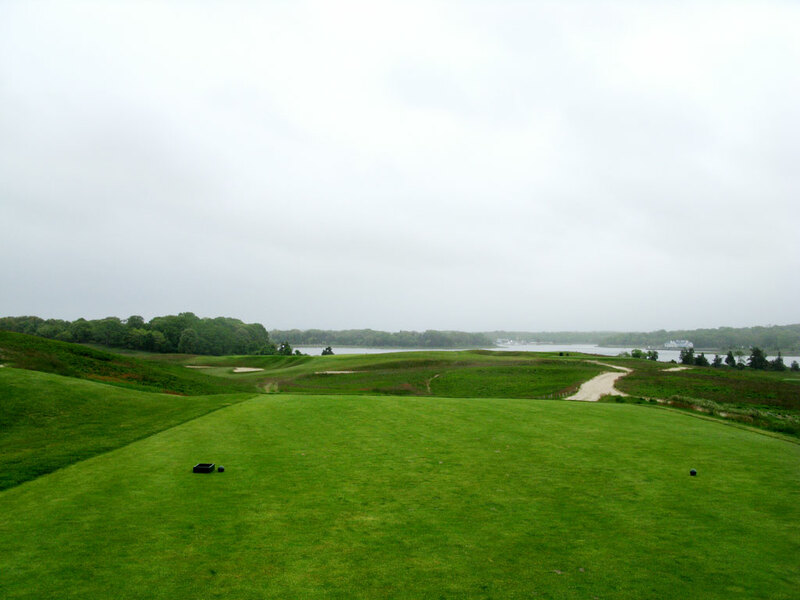 Best Par 4: 3rd Hole – 426 Yards – (Alps) - In a battle for the best par four in golf, the 3rd hole at National Golf Links would win a lot of arguements. The famous alps hole offers a diagonal fairway with a large bunker running on the inside of the hole and a U shaped bunker as a aiming point on the far side of the fairway. If you don't want to take on the blind approach, the fairway continues to angle up to the right and offers a short chip for a third shot to this heavily undulated green and extremely wide green. But the bold will welcome the opportunity to carry their approach shot over the alps and try and find the putting surface that is out of view from the fairway. Best Par 5: 18th Hole – 502 Yards – (Home) - The finishing hole is one of the finest holes on the course and is certainly the best par five. 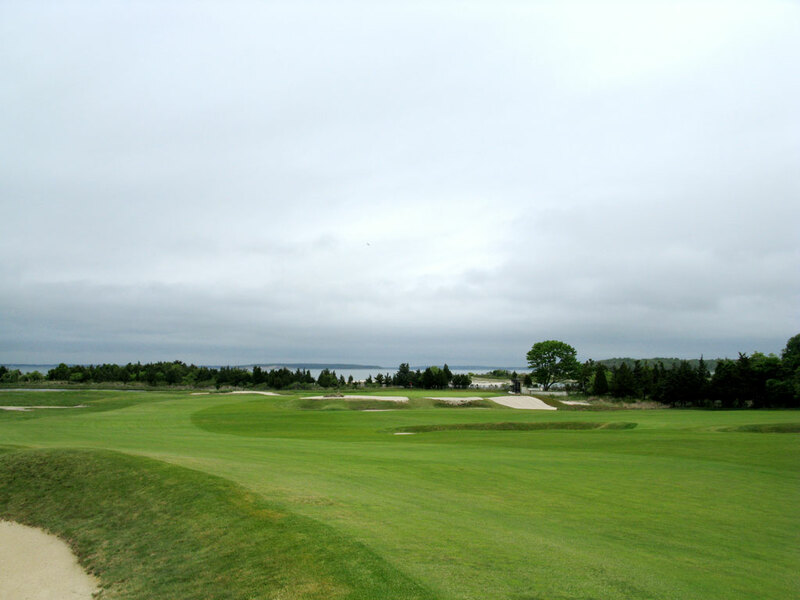 The home hole plays up and along the Peconic Bay and features 16 bunkers of several different shapes and sizes. A large wishbone shaped bunker encroaches in from the right and narrows the landing area significantly and places a premium on the drive. From there you play past the large clubhouse to a spacious green that holds four bunkers across the back. Finishing on the 18th green with views in every direction is a fantastic way to finish the round. Birdie Time: 2nd Hole – 330 Yard Par 4 – (Sahara) - This driveable par four is reachable during all times of the year, but during the summer when the conditions firm up you have to be careful about driving through the green. A large fairway is afforded on this short par four and as long as you keep your drive to the right of the windmill (within reason) you will have an excellent chance of an eagle putt or at least a short chip to this green. Bogey Beware: 3rd Hole – 426 Yard Par 4 – (Alps) - Tournament players that want everything on a golf course to be straight forward and simple to assess may not enjoy this hole, of course that is probably why I love it. The tee shot is challenging as it plays to a diagonal fairway and then the only way to reach the green is by taking a blind shot over the alps to a very difficult green that is wide but shallow. Hopefully you birdied one of the first two holes, because the chances of walking off the 3rd green with a bogey pretty darn high.